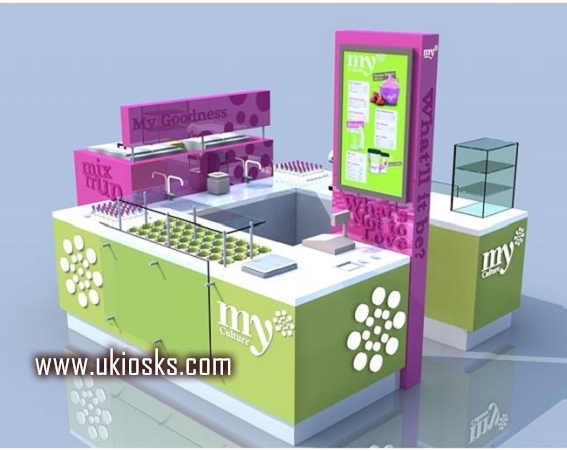 This is a mall frpzem yogurt kiosk in green .have three style,circular,square,rectangle , main material is plywood, laminate finish, artificial stone work table, tempered glass.have two yogurt machine on this kiosk, topping for showing your yogurt , Light box with your menu, acrylic Logo and so on. 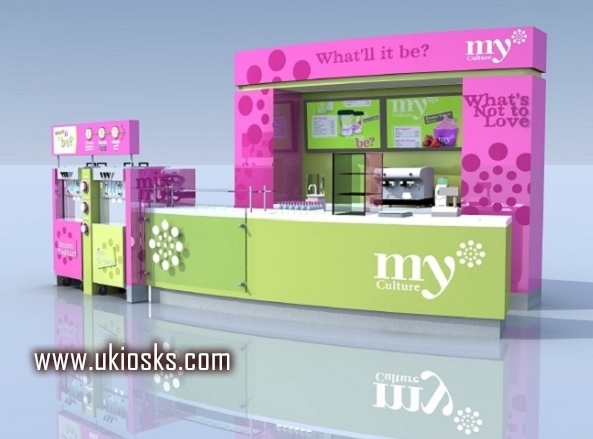 1-You need to contact our sales to discuss your specific requirement regarding the frozen yogurt kiosk design. 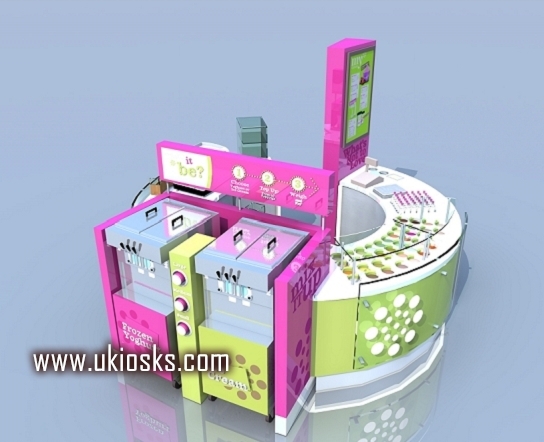 We can design complete store with plan,3D drawing(from all angles),construction drawing. We can transport the counters to your country by door to door. If you have any problem with you purchase, please let us know immediately. We guarantee your 100% satisfaction on all of our products. We do our best to satisfy you. and give us a chance to resolve until you are satisfied. 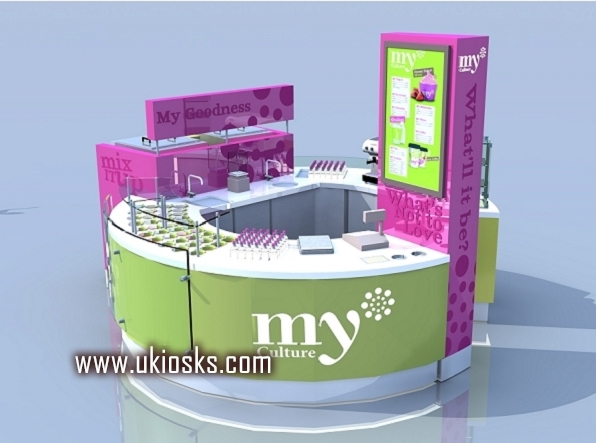 –Many years experience for various display showcase kiosk and other shop fitting. –Professional design & production technology. –Best price quaranteed ,best value for money. –Protection of your sales area ,design copy right & priviate information. 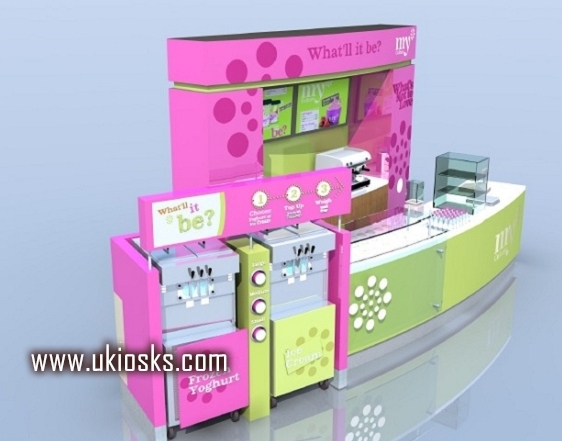 Thanks for your time , if you interested build a frozen yogurt kiosk like this one, pls feel freely contact us as below, thank you.